less and less common for homes and offices to keep a traditional landline for phone communications. In fact, 91% of American adults now own a cellphone, and more homes and businesses are disconnecting from their landlines every year. 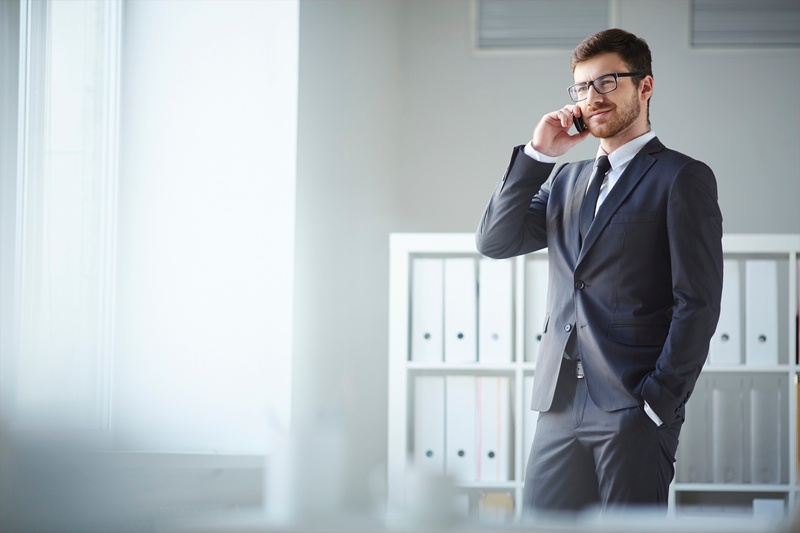 Most of the time, there’s enough network bandwidth and cell signal availability that connecting over a cellular network isn’t a problem. Yet, what happens when there is a natural disaster or other emergency? What if you need help but don’t have a cellular connection? While most people have a phone within arm’s reach anytime disaster strikes, making a call relies on a cellular signal — especially in an emergency when you need to call 911, connect with a loved one, or look up critical safety updates. Most of the time, existing mobile networks are more than sufficient to make calls, send texts, and access data. However, natural disasters like blizzards, earthquakes, and hurricanes can affect the actual infrastructure of a network, cutting power or knocking out cell towers and preventing a cell phone from connecting when the signal is weak or absent. In other situations, people who are hiking, camping, or driving may suddenly find themselves out of range of a cell tower. Emergencies can happen at any time, whether you get lost, experience a sudden injury, or find yourself victim of a flash flood or electrical storm. In another example, many businesses rely on security systems that report incidents via the cellular network. Poor connectivity could render an entire system unable to report, leaving the operation vulnerable or even endangering employees inside. Dealing with emergencies is never enjoyable. Yet, preparing your home or office for emergencies can play an important part in any emergency preparedness plan. And when it comes to cell phone connectivity, installing a cell signal booster can make all the difference. Cell signal boosters help people in homes and offices stay connected in areas with weak signals. If a tower experiences signal loss due a storm or power outage, a booster can access a more distant tower’s signal, keeping you connected and able to make outside calls or use data to access important safety updates. Ensure your safety. 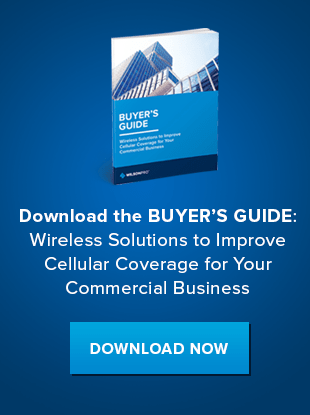 Download our ebook to learn more about commercial cell phone booster solutions. Additionally, emergency medical technicians often use cell signal boosters in their vehicles as a backup for voice communications and data transfer in emergency situations. Some sources even suggest signal boosters become “standard emergency hardware,” like hand-cranked generators and backup batteries. Superstorm Sandy. In 2012, Superstorm Sandy devastated the northeastern United States with what resulted in $75 billion in damage and many lives lost. Included in this damage were many cell phone towers in the affected area, making it impossible for many to send or receive phone calls or texts without cell service or WiFi. In one situation, a personal handheld booster device made the difference between no service and the ability to make a call, based on its ability to connect with a signal from a more distant cell tower. Hurricane Irene. Hurricane Irene pummeled the East Coast and the Caribbean in 2011. At the time, a boat equipped with a signal booster was able to communicate by text from the Bahamas with Florida weather officials, then radio the information to other vessels in the area, keeping everyone out of harm’s way. Hurricane Katrina. During and after Hurricane Katrina in 2005, many cell towers in New Orleans had been knocked out during the storm. Utility vehicles with cell signal boosters were able to access cell signals from undamaged towers across Lake Pontchartrain, using the cellular connection to coordinate their repairs. The ability to call or text for emergency services, or simply get in touch with loved ones to let them know your whereabouts and status. The opportunity to look up crucial weather updates or security information using data over a cellular network. Enhanced reliability on security systems connected via a cellular connection. Better call quality and less interference for first responders, while receiving incoming calls or routing emergency vehicles. A cell signal booster can provide reliable reinforcement when it comes to cell phone connectivity — whether you’re experiencing an emergency or not. Safeguarding your home or office for emergencies can keep you prepared and ensure connectivity. By installing a cell signal booster, you’ll have greater peace of mind knowing your devices have the best access to any incoming signal from any carrier at all times. Learn more about how cell signal boosters can keep you connected.